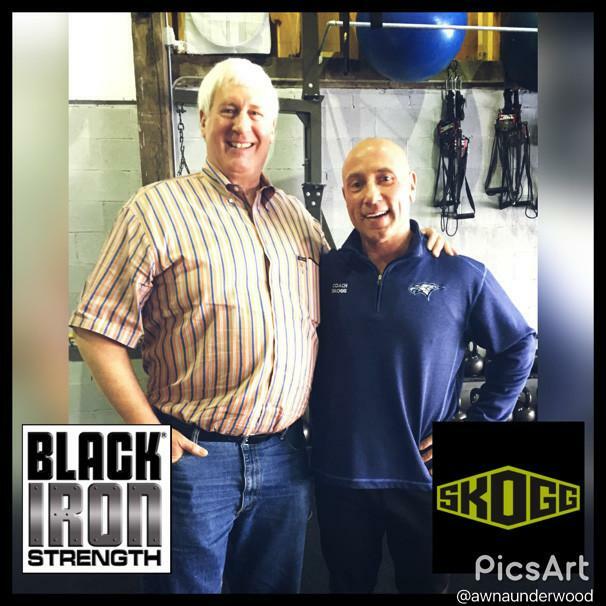 Outfitting a workout area with free weight equipment is a challenging undertaking. There are many factors to consider when choosing equipment. Whether the equipment is for personal use at home, a fitness facility for employees, a public gym, or an athletic performance center for a sports team, there are important factors, which are relevant to each of these locations. In this article, we will examine the top five factors that everyone, who is outfitting a workout area, needs to consider when purchasing free weight equipment. When equipping your facility, the amount of space that you have to work with is one of the major limiting factors, and will likely impact every other decision. Surely, just as there are many ways to ‘bake a cake’, there are many exercises and movements to achieve similar results. Some exercises require more space and the strength machines used can be bulky and provides only a singular movement, which accounts for too high of a percent of the total space used. In lieu of a strength machine, one may consider free weight dumbbells. If they are set up in a vertical storage configuration as part of a system, one can get many different weights and exercise options in a single rack. 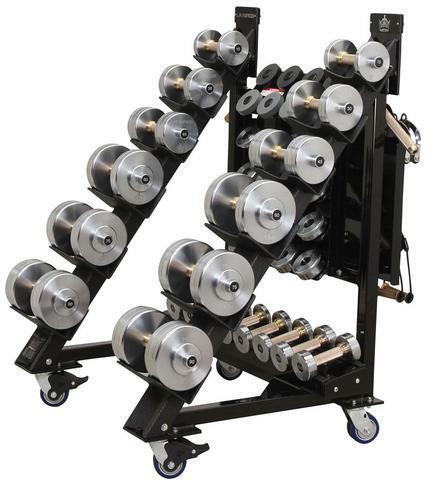 Black Iron Strength® features space saving dumbbell and barbell systems, check it out here. 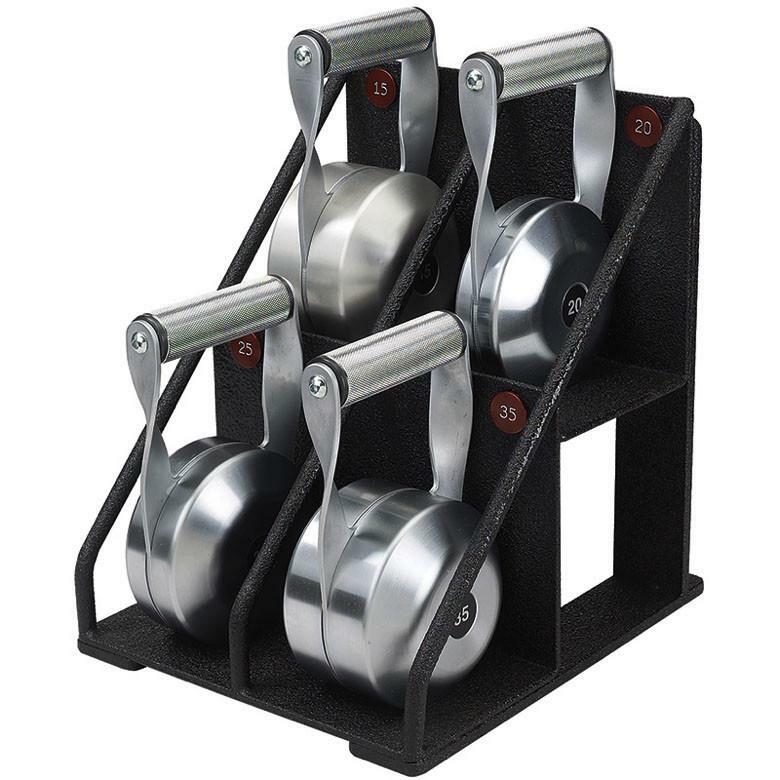 These systems are the only commercial grade adjustable dumbbells and barbells available on the market. The next factor to consider is the purpose of the facility. Different free weight equipment is appropriate for different types of people at different fitness levels. If the purpose of the gym is for your personal fitness, then choosing free weight equipment to fit in your space may be a bit easier, especially if you are familiar with exercise routines already. If the fitness facility is for a work place, where there are likely to be a mix of people in terms of fitness levels, it may be advisable to choose pieces of free weight equipment that are more flexible and offer a wider range of exercise options. If the facility is for an athletic team, like a professional hockey team, the free weight equipment choices can be tailored to a group of high performing athletes. With anything that we invest in, cost is a consideration. With free weight equipment, just like any other purchase, you get what you pay for. 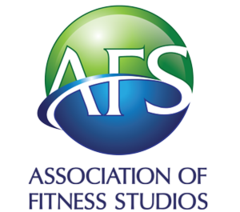 Although we mostly think about cost in terms of dollars spent, there are other costs to consider when selecting free weight equipment for a fitness facility. If the facility is in a public setting, let’s say in a workplace, one cost consideration could be the employee’s health. In reality, the reason why an employer might want to invest in a workplace fitness facility at the office would be to create a healthier group of employees, which would cut down on health care costs and employee absenteeism. When outfitting the workout facility, the goal is to create a healthy environment. Most of the time we start to workout more indoors when the weather gets colder and rainier outside. As we come indoors, we bring germs with us. These germs adhere to everything we touch, including the fitness equipment. Therefore, one of the considerations with a work place facility is to make sure the equipment is clean and germs are not spreading from employee to employee. 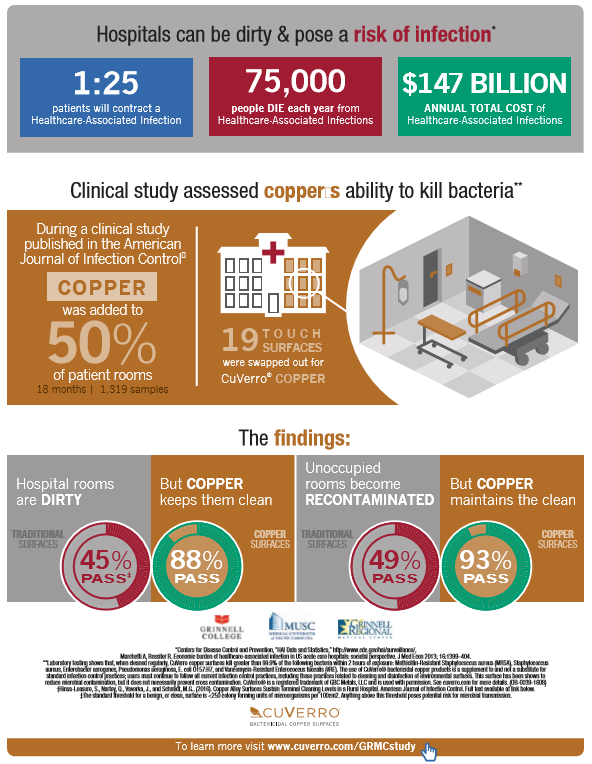 To prevent the spread of germs and keep your employees healthy, you should check out Black Iron Strength®’s line of CuLEAN® Antimicrobial Copper dumbbells and other CuLEAN® Antimicrobial Copper products by CuVerro®. Click here to see them. Quality and durability of the free weight equipment is an important consideration for any purchase regardless of location. Even when outfitting a workout area at home, it is best to buy quality equipment that serves multiple movements and exercises. 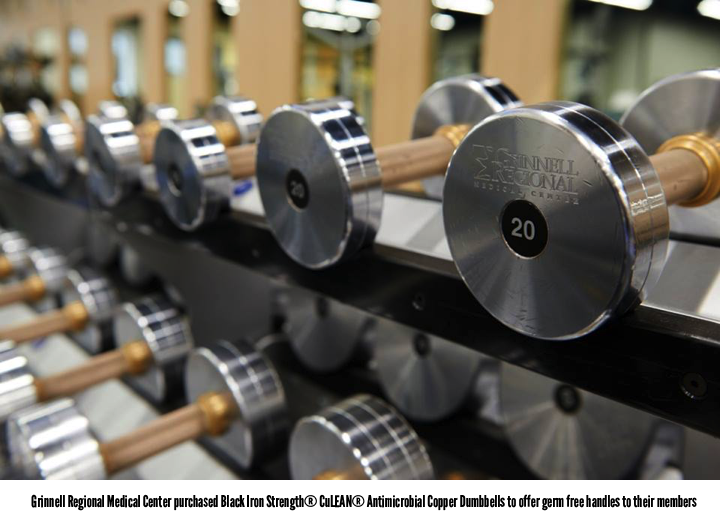 The high-end commercial grade fitness equipment is always the safest and requires the least amount of maintenance, which significantly increases the life of the equipment. When equipping the workout area, start with the basic dumbbells, barbells, and kettlebells to build the area. 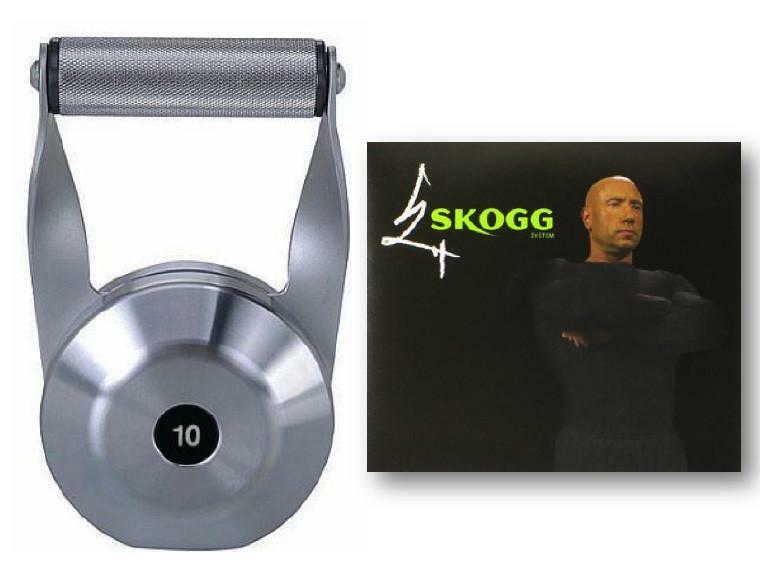 These free weight items are always the basic foundation of any strength area. Finally, the audience is an important consideration when selecting free weight equipment. Some of these considerations are age, gender, and fitness level. When outfitting a public facility, the equipment choices would need to encompass a wider range of users with varying abilities based on age and fitness level. When choosing free weight equipment for an athletic performance center, the buyer should select free weight equipment that offers high-end workout options for athletes, who are accustomed to rigorous workout regime. Overall, understanding who will be using the equipment will determine what is purchased.